Cashless shopping at AH to go: What is the future of Retail? 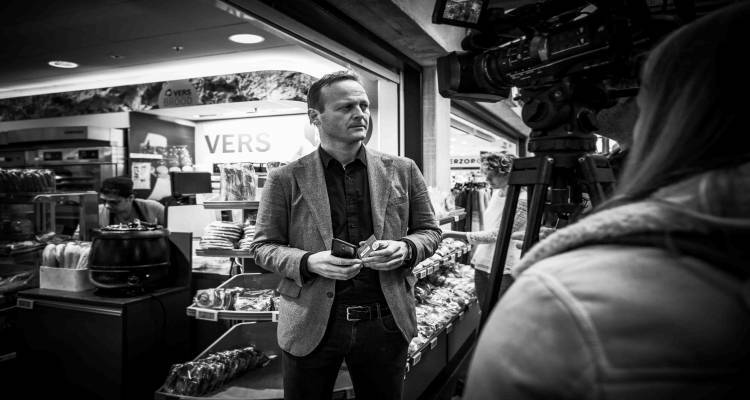 Jan-Willem Dockheer explains: "AH to go is already known as a rapid check-out store because you can buy something very fast. But if the train leaves in 2 minutes, we notice that many customers don't enter the store. That’s because even though AH to go is all about speed, we do experience queues at the cash register. Reducing the average shopping time from 3 minutes to 20 seconds was the mission." In the AH to go store, a customer scans electronic shelf cards using his or her tap card or mobile phone. By making use of this scanning technology, products can be taken from or returned to shelves seamlessly, whilst at the same time, the digital shopping cart is updated automatically. Once shopping has been completed, he or she simply walks out of the store and continues the day. Standing in line at the cash desk or paying at a cash point is no longer necessary. After 10 minutes of inactivity, the customer's bank account is debited and therefore payment is also processed automatically. Due to the ease and speed of Tap to go, customers are tempted to come inside more often and thus spend more. In addition, customers will no longer walk past the store without entering because it's too busy. No queues without cash registers; so fast shopping is guaranteed. When we asked Jan-Willem about the future of retail, he indicated that according to him, there should always be a hybrid model. Jan-Willem: "You have the option of using your tap card or mobile phone, we won't exclude anything, the customer can choose. We would like to give every store a cashless option however some stores will always keep a cash register in order to accept cash. For example, in hospitals there must be a cash register, because someone over 70 might not change his or her shopping behaviour, and we want to serve every customer equally. At the GVB (public transport in Amsterdam), you also have to be able to pay cash in addition to tapping. With all (international) travellers, you cannot exclude cash payments, but even there it should be possible to shop cashless without any problem. So the hybrid variant will be a good option". Integrating the tap to go functionality does not mean that it will replace employees, Jan-Willem explains: "The bigger the sale, the more products need to be filled on the shelf, and the more efficiently the store will run. You need a lot of people for that. That's something that hasn't changed. The goal is not to create a concept without people but without a cash register. The goal is to offer a seamless and fast shopping experience for our customers which simply means happier and loyal customers. Tap to go makes shopping possible within 20 seconds. If we look further ahead to the future of retail, Jan-Willem mentions algorithmic retail and mobile only. "Customer behaviour will be predicted for the most part, which will help create a much better experience. On all kinds of relatively standardized products with standardized use, like detergent or deodorant, you will be fully predicted. Shopping can be done anytime, at any place, and purchases will be delivered to your doorstep or wherever you choose. We look forward to the future with great enthusiasm. In addition to the above example, CM.com is currently working on a new service for seamless and guaranteed payments. Curious about the possibilities of mobile for your company? Contact our sector specialist Retail, Joris Oomen. He is more than happy to tell you more. You might have seen the images of Amazon Go, a futuristic grocery store where a vast array or sensors keep tabs on what items shoppers pick up in real-time. As a result, customers are able to buy food & drinks on the go, simply by taking products out of the shelves and leaving the store. No cash register. No employee. No queue. And no debit card. 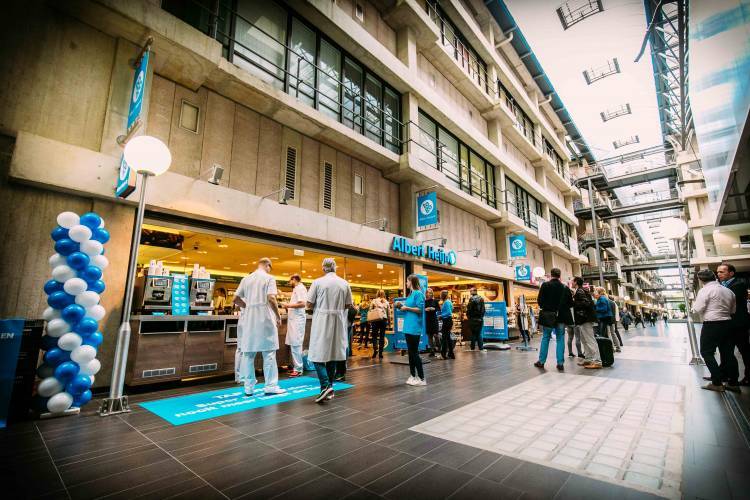 Albert Heijn now introduces high-speed shopping in The Netherlands: Tap to go. Comparable, but possibly more efficient and innovative when it comes to high speed shopping. Your mobile phone number is becoming your digital identity. And that’s a good thing. Almost no one ever changes his number anymore and authentication is easy and cheap, both for the phone number owner as companies who are verifying numbers.